Toddler eating, or lack thereof, can make parents totally nuts. I can attest to that on both fronts, as an OT and mom. In fact, I’m in the middle of it with my third child again, which is partially what inspired me to write this post. 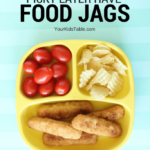 There are so many times that I’m feeding my son and I use a little trick or make a decision about how to handle his behavior and I think, “Most people don’t know to do this, and inadvertently make eating worse.” The other reason is because you guys have been asking lots of specific questions about your toddlers eating for years. 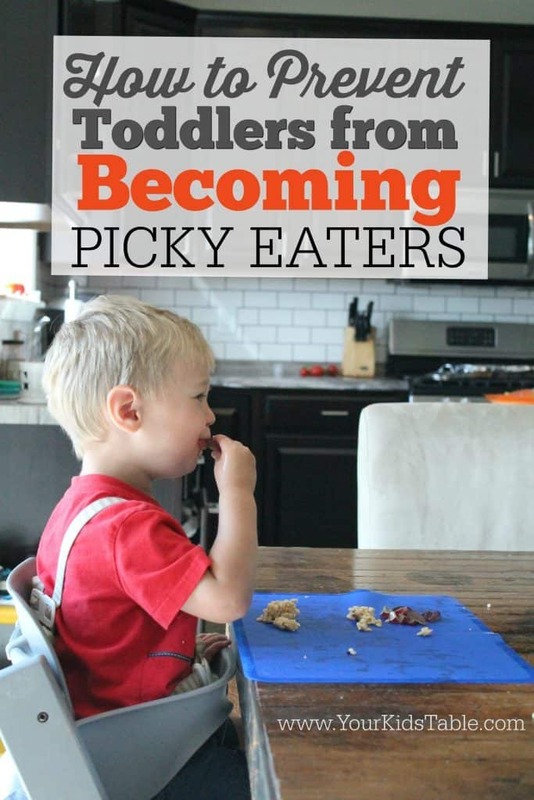 I know you need this, because nobody else will really tell you, and I’m serious when I say that this plan I’m going to lay out for you can potentially prevent toddlers from becoming picky eaters. 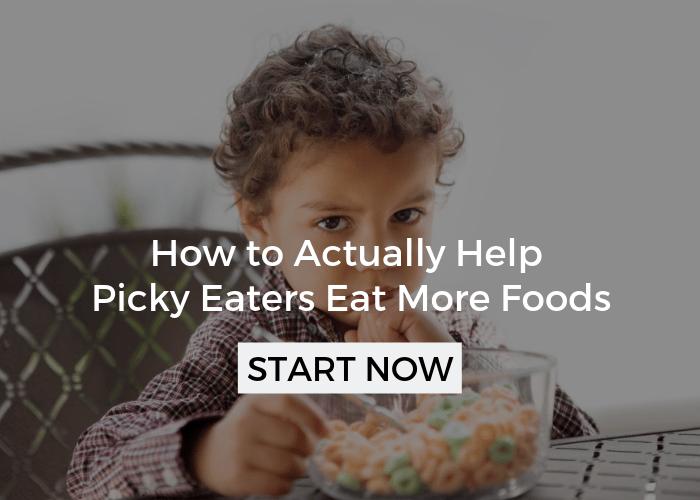 Of course, I’m not trying to underestimate the complexity of picky eating and there could be other layers to the problem if your child is already a “picky eater”. Don’t worry, I’ll give you some direction on that at the end of this post, if you need it. Also, I wanted to point out that while I will focus on toddlers between 1-2 years old, a lot of this stuff is the foundation for any kid and certainly is really effective well into the preschool years. 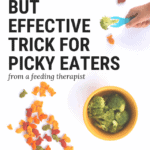 Onset of picky eating – It’s a well documented fact that most children enter a phase of picky eating, to some degree, in between 1 and 2. The good news is most will come out of it by 3-5 years of age. However, (this is the really important part) if the parents unknowingly handle the picky eating incorrectly (ouch, sorry to sound so harsh) it can really spiral into a severe picky eating state that can last a lifetime. Difficulty sitting still – A natural part of development, toddlers are made to move. Sitting still long enough to eat is an inherent challenge. Short attention spans – Another feature of toddlers that can make mealtimes difficult. 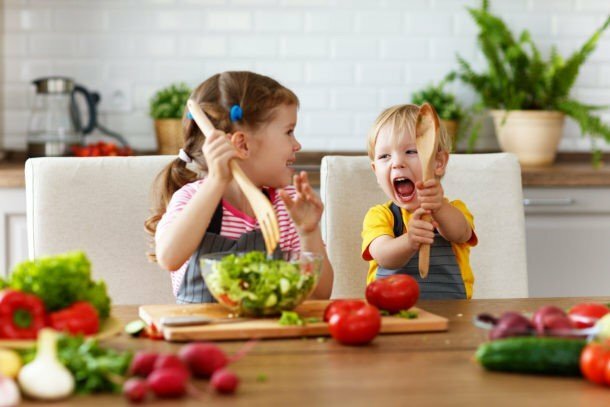 Will only eat when really hungry – Toddlers (and most kids actually) haven’t learned to overeat, they will only eat if they are hungry, which doesn’t always coincide with when you think they should be hungry. It’s normal to eat really well for a few meals or a few days and then not for a few days -This drives parents crazy, but the pattern is real. Toddlers tend to calorie load for a few meals and will then just coast until they need the calories again. 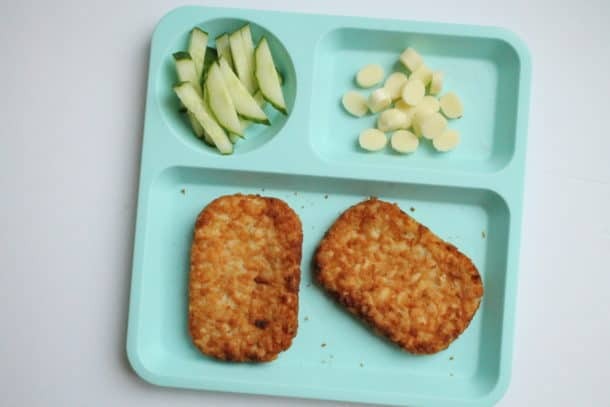 It is really hard for parents (myself included) to watch their child barely eat anything for several consecutive meals and not jump ship, doing anything just to get them to eat. Let’s talk about what to do, so you DO KNOW and can stop guessing, which I know is the most frustrating part. I totally get that you’re doing the best you can with the information you have, and you are here reading so you are doing a great job. If this list seems overwhelming and you’re already deep in the picky eater trenches, start with one strategy at a time in the order below. Stick to the routine and structure as much as possible – This includes everything from eating at a table, eating together, no grazing, offering variety, ALWAYS having one preferred food available, creating a positive atmosphere, and setting up a schedule with meals 2.5-3 hours apart. I cover these completely in Eating Basics, and highly recommend reading about them in more detail so you can totally nail this. It is the most important step! Don’t panic if they don’t eat anything anyways, this WILL happen – As I already mentioned, despite all your best efforts toddlers will still not eat sometimes. When this happens, try to serve a food that is highly preferred at their next meal or two. If your child goes for an extended time without eating, which is very unlikely unless they are ill, call their pediatrician. Keep them strapped in a booster or high chair until around 3 years of age – Remember how I said toddlers have a hard time sitting still? If they aren’t strapped in, they will likely be trying to get down several times during the meal and you will be spending a lot of energy just trying to get them to sit. If you’re able, just continue to keep them strapped the way you always have. By the way, it is totally appropriate for a child to sit in a high chair until 3 years old. I also want to mention that allowing your child to sit at the dinner table in an adult sized chair or on your lap is dangerous because without a solid base of support and proper alignment of their trunk they are at an increased risk of choking and may not be able to physically eat their food as well, which of course leads to them refusing more foods more often. Read more about proper positioning during meals. Use your bag of tricks first – This step is really important for toddlers because of their short attention spans and need to have some control over their little lives. Toddlers will sometimes start fussing at a meal and you don’t even know why, or they start fussing over some small grievance but continue endlessly. When this happens (or if they start trying to get down) I want you to try a couple of tricks to right the ship. I can’t tell you how many times I’ve done these thing with my children as toddlers and they’ve saved a meal. Is isn’t 100%, sometimes it just doesn’t matter what you do, but they should make a big difference. 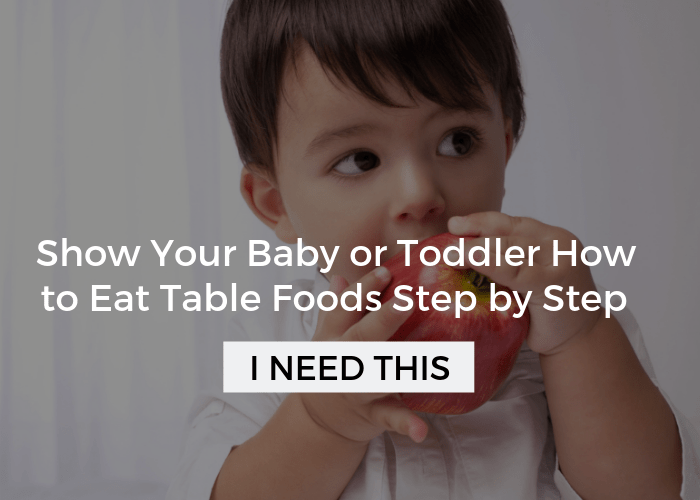 You’ll notice every one of these tricks involves changing the direction of the meal, with this strategy you are taking advantage of your toddlers high distractability. Change the presentation – Literally, in the middle of the meal, change something about their food. If you’ve been serving them cut up chicken nuggets offer it in a strip instead or vice versa. The novelty will intrigue them. Get a utensil – Many toddlers often aren’t eating with utensils regularly, so go ahead and get one out. I will usually ask, “Do you want a fork,” in a high pitched and inviting voice. Then, I’ll get it quickly and poke a piece of their food on it for them and lay it down. If they already have a fork, get a different one, having Micky Mouse on the fork may get them excited and re-interested. Pull out a dip – Give a little squirt of a dip on their mat or tray, and show them how to dip. Experiment with different types. Toddlers usually love this, but if yours doesn’t take to it at first, keep trying. Get some dip inspiration. Give a stick? – If you feel comfortable, give an older toddler a toothpick, with close supervision. Oh man, they love this! While I haven’t had the chance to try them, these safe versions look really awesome. 5. Don’t get into a power struggle – Young toddlers have a really hard time understanding that they need to sit at the table or to not throw their food. I’m not saying to not teach them and use simple phrases, but its important to keep in mind that in most cases they aren’t going to understand what your asking of them. Try to take a step back from the situation and use your best judgement. If your child doesn’t eat a good dinner and you’re nervous they’ll wake up at night, give a bedtime snack, even if it is breaking the schedule. Don’t make a big deal about it, or say, “Since you didn’t eat your dinner…” You want to just present this snack casually, if it isn’t normally a part of your schedule. Parents easily slide into short order cooking for toddlers because they often served them their “own” food as babies. While there is some wiggle room here, as toddlers are learning to eat more foods, this is a VERY slippery slope. On occasion, it is okay to break this rule, but use it wisely and sparingly. By the time they are 20-21 months you should no longer need to break this rule at all. Toddlers need much less milk than they did as babies. Once a child is 12 months old they only require 16-20 oz. of milk a day. But parents are use to relying on that bottle or sippy cup as a crutch from their baby days. It’s hard to switch gears and trust them to eat without relying on such heavy milk intake, but if you don’t, eating can really be hindered because they’ll be drinking their calories. Applying these strategies should give you a big start in the right direction, but I know you may want to read more. You can either head to the article index, a huge vault of every post I’ve ever written organized by category, or check out some of the ones I selected below, that I think will be particularly helpful. 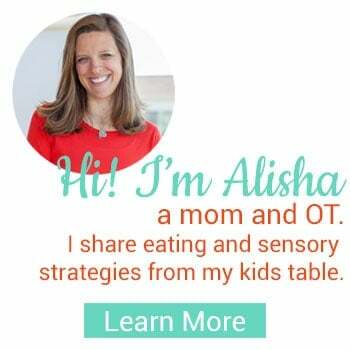 Sign up for the weekly newsletter (find in the side bar or see below) so you can receive exclusive strategies, recipes, and resources, you’ll love being part of the Your Kid’s Table inner circle! Hello, My 13 month old daughter will not pick and eat fruits or vegetables. She’ll eat sticky oatmeal, rice, cheese, cheerios, and mashed up fruits and vegetables. How can I get her to self-feed fruits and vegetables? Thank you for this article. I’ll try to have some extra patience and teach her to eat with spoon/fork. She probably doesn’t have the coordination to do it yet. But, this article on teaching your child to feed themselves will be helpful! Hi! I have a question about the preferred foods to include in each meal. My toddler will devour green peas one day and then refuse them the next. Or she’ll eat eggs everyday for a month and then won’t touch them for another 2 months. There isn’t a single food that I know she will eat consistently. In fact she almost does better with new foods. Anyways, is it considered preferred if she has enjoyed it at one time in her life even though I don’t think she’ll be currently in the mood for it? Or is it only considered preferred if I know she will at least eat that item at that certain meal? If it’s the latter, what would you suggest I do since there is literally nothing I can guarantee her to eat? Thanks in advance! It can be difficult with finicky toddlers. First, I’d recommend avoiding serving the same main food (fruits and veggies are okay) two days in a row. Then, I use the rule of thumb if they eat it 50% of the time it’s fair game to serve it as a preferred food. Ahh, so this sounds like a sensory need. 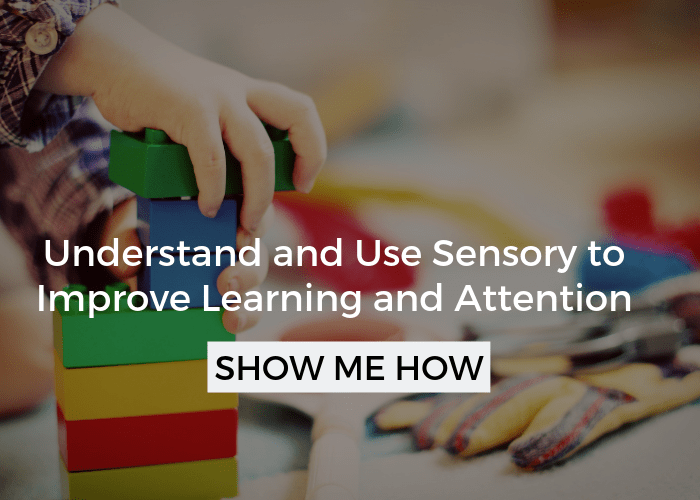 If sensory is new to you, check out this beginner’s guide. Thank you for the advice and tips in this wonderful post. I am struggling with getting my twin girls (14 months old) interested in food. They will eat a good variety, but just not much in terms of volume. It’s like they could take it or leave it. So I have two questions, first how long should meals last? Because of their lack of interest, meals can take 30+ minutes. I also am struggling with their weight, as they have always been on the thin side (15th percentile with some dips into the 10th), so I am one who is still using formula as a crutch because I want to get as many calories into them as I can. I know, of course, that this is likely the biggest contributor to the amount of solids they eat, but when they don’t eat well at a meal, I just can’t help but stress out about it and feel like I have to follow up with formula. Their pediatrician isn’t overly concerned because they have stayed on their growth curves, but it’s one of those things that they always “just want to keep an eye on,” a phrase which of course causes me to worry. 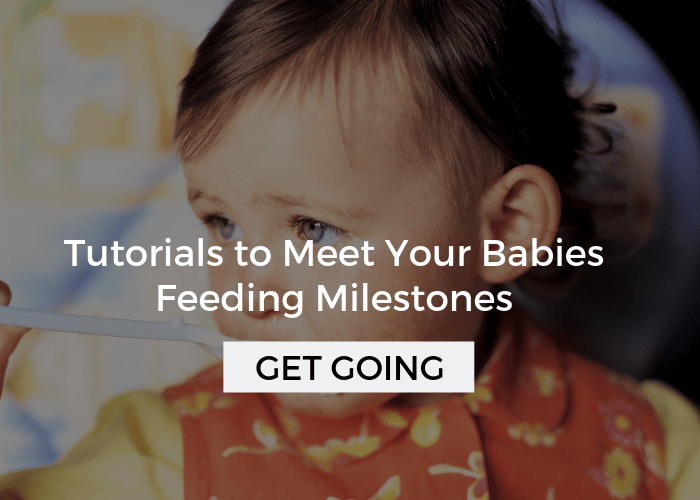 I would like to start to wean them from formula and have made some attempts, but my question is how long after I cut back should I start to see an increase in solids intake? I feel like I’ve given up too early in the past when I didn’t see a change right away. I think its important to keep meals to 30 minutes, longer than that and they’re at the table for too much of the day. I’d check out my high calorie foods for babies too, you’ll get some good tips to maximize what they are eating. Great article, Alisha, and this has become a cause for concern for me. My eldest is now three. When he was a toddler he actually wasn’t that picky, and I marveled at how he loved vegetables in particular. Now he’s gone off them and ants away from the table ASAP! I guess it’s another developmental phase. Sigh. If he absolutely refuses to eat, I will say something like “5 more spoonfuls and we’ll go play outside” and that usually motivates him. It’s just a bit of pain as I’m usually carrying my 1-year old at the same time and she’s trying to grab everything in sight and put it in her mouth. Not so picky! I’m so glad you like it:) It can be really hard, following these tips will be great for getting things back on track. If you start to feel discouraged know that consistency and patience are really important to and that it takes some time. This will benefit for you 1 year old too! Thank you for this great read! I’ve learned so much from your blog, and I try not to stress too much when my 16 month old daughter doesn’t eat–some days are definitely better than others, and I’m very okay with that. What I am worried about is that at dinner, she’s refusing everything except noodles and cheese pieces and tot pouches. Anything else gets thrown. And the trouble is, I give it to her because I know she’ll eat it. I know that I should just be giving her whatever I’m eating (with at least one familiar food along with it) but the thought of her waking up hungry at night scares me into submission. She was a really crappy sleeper until pretty recently, and I really don’t want to ruin a good thing. My husband is out of town 3-5 days a week too, so often I’m flying solo and I’m just trying to make it easier on myself. I work full time, and our evening routine takes me twice as long and it’s hard to cook for 1.5 people. How do I get past this so I don’t create a monster later in life? We do have a “schedule” and she always (ALWAYS–unless we’re on the go) eats in the high chair. I have stuck to some of your advice! Sorry for this late reply Kristine! This can be a really tricky age… How much is she drinking of milk? Make a side of what she is eating and have some too, try to rotate through the foods and expand on them, meaning change them a little- use a little sauce- use different noodles- different cheeses. But, be careful, in two months you shouldn’t need to do this at all, have that one preferred food and if she doesn’t eat well it will be okay. I’m so glad you’ve been reading and you’ve done a great job applying everything. DON”T beat yourself up about cooking differently, that is normal. One day you will return to that. What you’re doing is fantastic. Buy ready made options for now to keep your sanity, keep that one preferred food there and consider offering a bedtime snack and not catering to her at dinner. Let me know how it goes! I enjoyed this post. My first child was high needs and has sensory issues. I was afraid your article would ignore sensory issues and totally blame the parents. I’ve been on the receiving end of those types of comments! That’s not what I found at all! Thank you for a great article that gives truly helpful advice! What a lovely comment, thank you for taking a minute to share it Janis! Yes, you are so right! I am all about us building each other up as parents- even with everything I said here every parent needs to do what they need to do. While I want to share what I believe to be effective strategies I hope it is never lost anyone to support and encourage each other instead of judge! By the way, I have a bunch of sensory stuff on here too. The sensory stuff is how I found you in the first place. Thank you for that! It really explains for others what I failed to explain for myself. I now have five kids and with my second I was able to recognize that I really did NOT cause my son’s sensory issues, as some had suggested. Having to feed 5 young children has given me perspective that I didn’t have when my oldest was an only child. It’s easy now to see that they really won’t starve themselves and that being hungry helps them accept the vegetables that show up at dinner even though they refused the ones that showed up at lunch. I find myself doing many of the things that you suggested and I can only think that I do it because I read posts like this one and changed slowly (but intentionally) over time. I am encouraged to see how far my own family has come and encourage other parents to believe that improvement can happen and is worth pursuing. Again, thank you for this article and your other articles, too … especially the ones about sensory processing. You are so welcome Janis! Thank you for your fabulous and valuable perspective!